The sound of the shofar is meant to arouse us, wake us up from our ethical torpor, confront our past deeds, and inspire us to new moral actions. (Moses Maimonides, Mishneh Torah, Laws of Repentance 3:4). If there is any time when we need to heed the call of the shofar it is now when climate change is the most critical human challenge. Recent reports of the Intergovernmental Panel on Climate Change and the U.S. government indicate that C02 levels are at all-time highs. More than ever, it is critical that religious communities and the Jewish community in particular raise their voices, since climate change is a moral and spiritual issue. 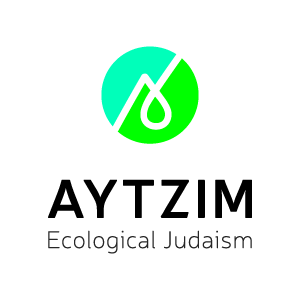 To this end, Aytzim and GreenFaith have created Shomrei Breitshit: Rabbis and Cantors for the Earth, an international, multi-denominational network of rabbis and cantors providing a Jewish religious voice on environmental justice and climate change. Shomrei Breishit also will provide rabbis, cantors and Jewish seminary students from all Jewish movements with educational resources about environmental issues from a specifically Jewish perspective. Shomrei Breishit will partner with other Jewish, interfaith and secular environmental organizations in publicly advocating for strong climate action by national and local governments. World governments to transition to non-carbon based energy over the next 10 years and to sign and act on a new climate change treaty in 2015. Jewish institutions to advocate for strong national and international climate legislation; to become carbon neutral through conservation and the purchasing of carbon offsets; and to review investment portfolios and redirect funds to sustainable energy investment. We personally pledge to become carbon neutral over the next two years through conservation, purchasing offsets and seeking to reinvest our own financial portfolios from fossil-fuel investments to sustainable-energy investments. We also pledge to encourage our own Jewish institutions to pursue equivalent actions. And we pledge to advocate for meaningful climate-change legislation in local and national governments and international bodies. Rabbi Abraham Joshua Heschel wrote that the prophets of ancient Israel “remind us of the moral state of a people: Few are guilty, but all are responsible.” (The Prophets, p. 16). And as the rabbis in the Talmud once proclaimed: Anyone who can protest against a wrong that is being done and does not is held accountable for their inaction. (Shabbat 54b) We, as Jewish spiritual leaders, are impelled to speak out on what is one of the greatest moral challenges in human history. We call upon rabbis and cantors from every denomination and from every corner of the Jewish world to stop others from drilling holes in our boat and to join us in signing this statement and becoming part of Shomrei Breishit. Rabbi Katy Allen, Boston, Mass. Cantor Lisa Arbisser, New York, N.Y.
Rabbinical student Trisha Arlin, Brooklyn, N.Y.
Cantor Barbara Barnett, Wheeling, Ill.
Rabbinical student Laura Bellows, Jamaica Plains, Mass. Rabbi Tiferet Berenbaum, Milwaukee, Wis. Rabbi Edward C. Bernstein, Boynton Beach, Fla. Rabbi Ellen Bernstein, Amherst, Mass. Rabbi Tsvi Blanchard, New York, N.Y. Rabbi Neal Borovitz, River Edge, N.J. Rabbi Charles Briskin, San Pedro, Calif. Rabbi Shawna Brynjegard-Bialik, Northridge, Calif. Rabbi and Cantor Mattisyahu Brown, Easton, Penn. Rabbi Nadav Caine, Poway, Calif. Rabbi Debra Cantor, Bloomfield, Conn. Rabbi Nina Beth Cardin, Baltimore, Md. Rabbi Ken Chasen, Los Angeles, Calif. Rabbi Shai Cherry, Del Mar, Calif. Rabbi Ayelet Cohen, New York, N.Y. Rabbi Howard Cohen, Marshfield, Mass. Rabbi Yehoshua Cohen, Alto, N.M. Rabbi Mike Comins, Los Angeles, Calif. Rabbi Rachel Cowan, New York, N.Y. Rabbi Menachem Creditor, Berkeley, Calif. Rabbi Robin Damsky, Melrose Pak, Ill. Rabbi Getzel Davis, Cambridge, Mass. Rabbi Elliot Dorff, Bel Air, Calif. Rabbi David Dunn Bauer, New York, N.Y. Rabbi Cindy Enger, Chicago, Ill. Rabbi Morley Feinstein, Los Angeles, Calif. Rabbi Lori Feldstein-Gardner, New York, N.Y. Rabbi Jacob Fine, Amherst, Mass. Rabbi Brian Fink, New York, N.Y. Rabbi Nancy Flam, Northhampton, Mass. Rabbi Josh Franklin, Wellesley, Mass. Rabbi Nancy Fuchs Kreimer, Philadelphia, Penn. Rabbi Ruth Gais, Summit, N.J. Rabbi Laura Geller, Los Angeles, Calif. Rabbi Everett Gendler, Lowell, Mass. Rabbinical student Moshe Givental, Newton Center, Mass. Rabbi Miriyam Glazer, Los Angeles, Calif. Rabbi Shefa Gold, Jemez Springs, N.M.
Cantor Dorothy Goldberg, East Haven, Conn.
Rabbinical student, Maggid Zelig Golden, Oakland, Calif. Rabbi Michael Goldman, White Plains, N.Y.
Cantor Rachel Goldsmith, Bethesda, Md. Rabbi Jeffrey Goldwasser, East Greenwich, R.I. Rabbi Maralee Gordon, Woodstock, Ill. Rabbi Arthur Green, Newton Center, Mass. Cantor Meredith Greenberg, Montclair, N.J. Rabbi Victor Gross, Erie, Colo. Rabbi Jill Hammer, New York, N.Y. Rabbi Joshua Hammerman, Stamford, Conn. Rabbi Jocee Hudson, Los Angeles, Calif. Rabbi Jill Jacobs, New York, N.Y. Rabbi Daria Jacobs-Velde, Sebastopol, Calif. Rabbi Josh Jacobs-Velde, Sebastopol, Calif. Rabbi Rachel Kahn-Troster, Teaneck, N.J. Rabbi Mark Kaiserman, Forest Hills, N.Y. Rabbi Malkah Binah Klein, Philadelphia, Penn. Rabbi Sharon Kleinbaum, New York, N.Y. Rabbi Kevin Kleinman, Philadelphia, Penn. Rabbi Raquel S. Kosovske, Northhampton, Mass. Rabbi Charles Kroloff, Westfield, N.J.
Cantor David Landau, Highland Park, Ill.
Cantor Cathy Lawrence, New York, N.Y. Rabbi Shoshana Leis, Fort Collins, Colo. Rabbi Amy Levin, Pittsburgh, Penn. Rabbi Daniel Levin, Boca Raton, Fla. Rabbi Leonard Levin, South Orange, N.J.
Cantor Sheldon Levin, Metuchen, N.J. Rabbi Joshua Levine Grater, Pasadena, Calif. Rabbi David C. Levy, Succasunna, N.J. Rabbi Valerie Lieber, Brooklyn, N.Y. Rabbi Neal Loevinger, Poughkeepsie, N.Y. Rabbi Janet Madden, Santa Monica, Calif.
Cantor Ilan Mamber, Franklin Lakes, N.J. Rabbi Natan Margalit, Newton, Mass. Rabbi Marc Margolius, New York, N.Y. Rabbi Randall Mark, Wayne, N.J. Rabbi Richard Marker, New York, N.Y.
Cantor Mitchell Martin, Lake Worth, Fla. Rabbi Nathan Martin, Philadelphia, Penn. Rabbi Janice Mehring, Atascadero, Calif. Rabbi Shira Milgrom, White Plains, N.Y. Rabbi Joel Mosbacher, Mahwah, N.J. Rabbi Nina Perlmutter, Chino Valley, Ariz.
Rabbinical student Ruhi Sophia Motzkin Rubenstein, New York, N.Y. Rabbi Jesse Olitsky, South Orange, N.J. Rabbi Dov Peretz Elkins, Princeton, N.J. Rabbi J. Adele Plotkin, Chino Valley, Ariz. Rabbi Joshua Rabin, Jericho, N.Y. Rabbi Joshua Ratner, Chesire, Conn. Rabbi Or Rose, Newton Center, Mass. Rabbi Ari Rosenberg, Springfield, N.J. Rabbi Ed Rosenthal, Apollo Beach, Fla. Rabbi John Rosove, Sherman Oaks, Calif. Rabbi David B. Saltzman, Boonton, N.J. Rabbi and Cantor Daniel Sayani, Brooklyn, N.Y. Rabbi Fred Scherlinder Dobb, Bethesda, Md. Rabbi Chaim Schneider, Aptos, Calif. Rabbi Barry Schwartz, Leonia, N.J. Rabbi David Seidenberg, Northhampton, Mass. Rabbi David Shneyer, Rockville, Md. Cantor Eric Shulmiller, Plandome, N.Y. Rabbi Hanna Tiferet Siegel, Needham, Mass. Rabbinical student Garth Silberstein, New York, N.Y. Rabbi Barry Silver, Boca Raton, Fla. Rabbi Ariana Silverman, Detroit, Mich. Rabbi Joel Simonds, Los Angeles, Calif. Rabbi Amy Small, Summit, N.J. Rabbi Eric Solomon, Raleign, N.C. Rabbi Marc Soloway, Boulder, Colo. Rabbi Toba Spitzer, Waltham, Mass. Rabbi Brent Spodek, Beacon, N.Y. Rabbi Kaya Stern-Kaufman, Housatonic, Mass. Rabbi Warren Stone, Kensington, Md. Rabbi Michael Swarttz, Newton Center, Mass. Rabbi Daniel Swartz, Scranton, Penn. Rabbi Elliot Tepperman, Montclair, N.J. Rabbi David Teutsch, Philadelphia, Penn. Rabbi Lennard Thal, New York, N.Y. Rabbi Rachel Timoner, Los Angeles, Calif. Rabbi Neil Tow, Glenrock, N.J. Rabbi Lawrence Troster, Teaneck, N.J. Rabbi Pamela Wax, Bronx, N.Y. Rabbi Sheila Weinberg, Philadelphia, Penn. Rabbi Tom Weiner, White Plains, N.Y. Rabbi Simkha Weintraub, Brooklyn, N.Y. Rabbi Shmuly Yanklowitz, Scottsdale, Ariz. Rabbi Lina Zerbarini, East Hills, N.Y. Rabbi Gerald Zelizer, Metuchen, N.J. Rabbi Shawn Zevit, Philadelphia, Penn. You can sign the statement and join Shomrei Breishit by clicking here. Without signing the statement, you can join Shomrei Breishit.